For too long, unsightly white plastic light switches and power points have been used for new build and renovation projects. Now, Australian company Bella Lujo is filling the hole in the market for affordably priced, luxury light switches and power points, with the launch of its exclusive glass lighting accessories range Luminosa. Featuring European inspired minimalist design and precision manufacturing. Luminosa’s glass range, Vetro is an Australian first, imparting a high-end, prestige look to any residential or commercial project. The stunning, toughened glass faceplates feature chrome trims, an anti-fingerprint coating for effortless maintenance and are available in a range of elegant colours white, black, silver and neutral. 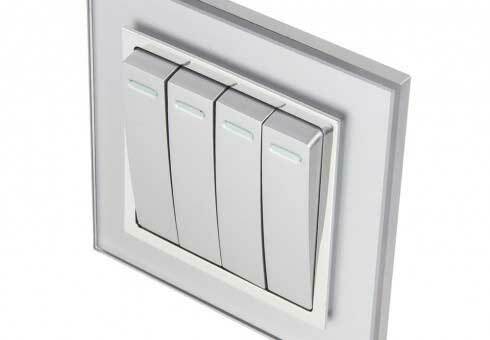 Luminoas’s Vetro line offers configurations of between one and six switches, single and double power points, data points, dimmers and fan controllers – all with glass faceplates. The range also comes in two sizes: Australian (standard size) – suited to retro fits and new builds – and European (86 x 86mm) – perfect for giving new builds a unique edge.